Published by the American Geophysical Union as part of the Geophysical Monograph Series, Volume 179. This multidisciplinary monograph provides the first modern integrative summary focused on the most spectacular active tectonic systems in North America. 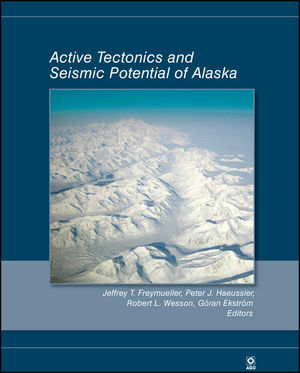 Encompassing seismology, tectonics, geology, and geodesy, it includes papers that summarize the state of knowledge, including background material for those unfamiliar with the region; address global hypotheses using data from Alaska; and test important global hypotheses using data from this region. regional integration and large-scale models and the use of data from Alaska to address important global questions and hypotheses. The book's publication near the beginning of the National Science Foundation's EarthScope project makes it especially timely because Alaska is perhaps the least understood area within the EarthScope footprint, and interest in the region can be expected to rise with time as more EarthScope data become available. Jeffrey T. Freymueller is a professor of Geophysics Geophysical Institute University of Alaska, Fairbanks Fairbanks, AK. Does a Boundary of the Wrangell Block Extend Through Southern Cook Inlet and Shelikof Strait, Alaska? Rapid Ice Mass Loss: Does It Have an Influence on Earthquake Occurrence in Southern Alaska?